In Lieu of Flowers: please make donations in her memory to Karen Ann Quinlan Memorial Foundation. 99 Sparta Ave, Newton NJ 07860. 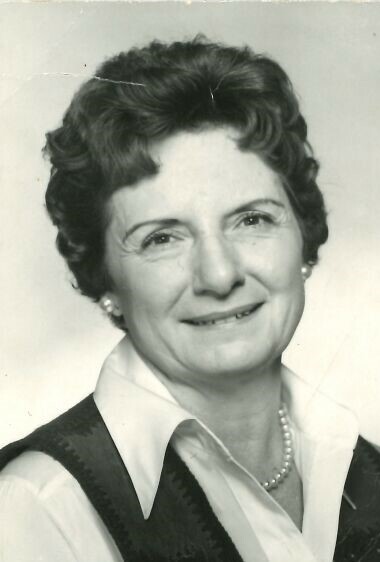 Irene Ann Kudla (nee-Rembez) was born October 7, 1925 in Clifton, New Jersey. She attended Clifton High School. In 1951 she got a job with the Bendix Corporation (later assimilated by Allied Signal Corp, and then Honeywell International Corp.) in Teterboro, New Jersey. It became a relationship that lasted for 38 years, until she retired in 1989. Irene started on the production floor at Bendix and gradually worked her way up to become supervisor of experimental coil winding, and later a manufacturing engineer of Guidance Systems. Her achievements were many and she played a key role in the production of the guidance systems for the Apollo, Pershing and Saturn missions. She built the first parts for NASA’s Lunar Landing Module that guided the Astronauts from the Moon back to Earth. In 1969, Irene received NASA’s Apollo Achievement Award for man’s first landing on the moon on July 20, 1969. She became an expert on building parts that required coil winding, such as rotors, stators and electric motors. She loved conducting training classes that taught others how to build and assemble complex inertial guidance systems and helped set up a school for training others how to build the aerospace parts of the future. For her many contributions to the space program, Bendix nominated her and she was honored in 1969 as one of four “Ladies of the Year” for technical achievement in New Jersey. Irene travelled extensively while working at Bendix, most notably to Florida and Pennsylvania, where Bendix had several plant locations. Towards the end of her career, she built many parts for the Hubble telescope. In 1955, Irene bought a summer bungalow in the Lake Hiawatha section of Parsippany, which she transformed, after several upgrades, to year-round living. She got married to Emil Kudla in 1969. She loved her house and lived there with her husband until Emil’s passing in 2004. After that she lived there by herself until her death. Irene and her husband enjoyed horse racing, and were the owners of several trotting horses that they raced in Freehold, NJ and Yonkers, NY in the 1970s. She loved to go to Bingo weekly with friends as well as going to the track at Monmouth or at the Meadowlands. She frequented the Atlantic City Casinos where she loved to play roulette and black jack. Irene had no children. She has been predeceased by her sister Frances in 1933, her mother in 1989, her husband Emil in 2004, and her sister Emma Szczerbak in 2016. Her father passed away in a car accident in 1941. She is survived by her loving niece Linda Zacsek and her husband George. A great niece, JoAnn Ullrich and her husband Richard, and a great-great niece April Ullrich. Relatives and friends are invited to attend her Funeral on Tuesday, April 9th 2019 at 8:00am from the Par-Troy Funeral Home. 95 Parsippany Road, Parsippany. (973)887-3235 or visit www.partroyfuneralhome.com. With the Liturgy of Christian Burial to be offered at 9:30 am. at Saint Joseph R.C. Church. 7 Parker Ave, Passaic, NJ 07055. Interment: Calvary Cemetery, Paterson. Visiting hours are on Monday, April 8th from 4:00pm to 8:00pm at the Funeral Home. In lieu of flowers, please make donations in her memory to Karen Ann Quinlan Memorial Foundation. 99 Sparta Ave, Newton NJ 07860.